Posted by OeWF in OeWF News, Research/Projects. 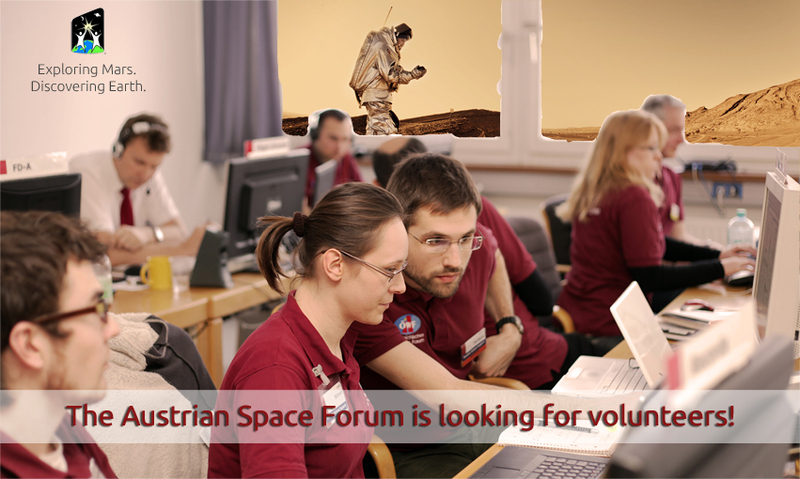 The Austrian Space Forum is looking for volunteers! This year, the World Space Week is under the motto “Exploring Mars. Discovering Earth”. In dozens of countries worldwide, this event marks an annual showcasing of space activities around the globe – Declared by the United Nations in 1999, it encompasses simultaneous events held by space agencies, schools, aerospace companies, planetariums, museums, astronomy clubs, etc. in more than 60 countries. Last years’ World Space Week saw 685 events! The aims are to build the workforce of tomorrow by inspiring students, visibly demonstrating public support for space programs, educating the public and government leaders about space activities, and foster international cooperation in space outreach and education. The Austrian Space Forum has been asked to manage a dedicated Mission Control Center (MCC) for a series of events ranging from Mars analog rover driving demonstrations to a series of mock-up Extra-Vehicular Activities and even a mission at the Mars Desert Research Station in Utah. For all this, we need you in Innsbruck and across Austria! Also, the Aouda spacesuits will be operated during the World Space Week, we are also looking into cooperating with many international partners for e.g. MCC-managed remote rover operations, extra-vehicular activities, educational sessions, and lots of telecons into classrooms worldwide. Travel and lodging has to be self-funded, however, on a case-to-case bases we can arrange for simple private accommodation. with your contact coordinates and availabilities. MARS2013: Call for team members!